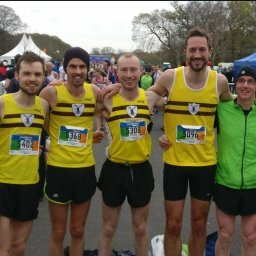 This week North Belfast Harriers were spotted all around the island of Ireland and winning races. 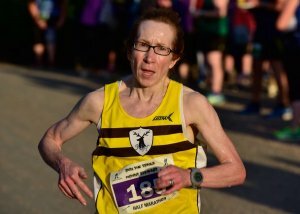 Monday night, 30th July saw 10k and 5k races in the UK Village of the Year 2018. Three NBH runners took part in the 10k race. 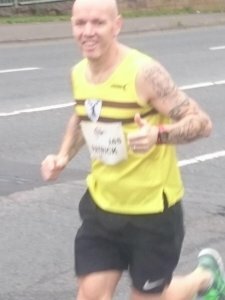 Mark McKinstry won the 10k beating his closest rival by nearly a minute. 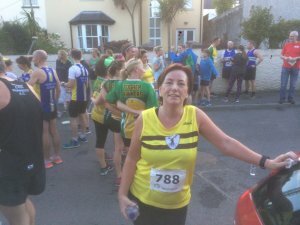 A 5k road race took place in Carlingford on Friday 3rd August. 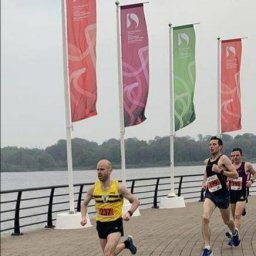 The race started in the town centre and the route travelled along Carlingford lough and then returned to the town centre. 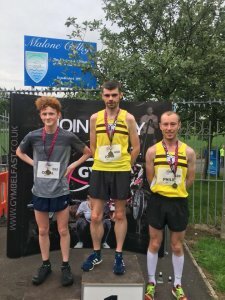 Frist place was hotly contested by Conal McCambridge who came in a close second running a mere 8 seconds behind the winner. 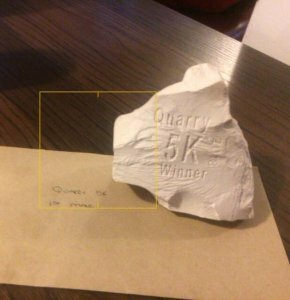 The Quarry 5k was held on Friday 3rd August over a multi terrain course in Carnlough. The route started in the picturesque village and climbed uphill towards the quarry where runners encountered loose limestone paths underfoot. A further climb upwards from the quarry allowed runners to experience the stunning coastline views before descending to the Largy Road and then back through the well-known limestone bridge into the village and towards the finish line. Kent Swan continued his winning streak taking first place in another fast time. 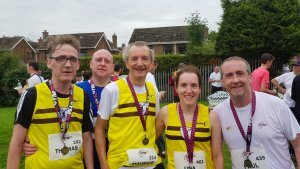 In its 17th year the Stanley Reid Memorial Classic is an undulating route starting and finishing in Cookstown’s Loughry Campus. Only one NBH runner journeyed down to take on this race. 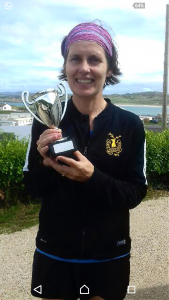 On Saturday 4th August Elaine Holmes won first female in the 5K Charity run taking place in the Downings, Donegal in aid of the Donegal Down Syndrome Association. Full race times are not online but Elaine came home in under 24 minutes. This race on Saturday 4th August took in the seven highest summits of the Mourne’s. Martsje Hell was the first female winner. On Saturday evening there was a unique trail race around the gardens of the 19th century house. 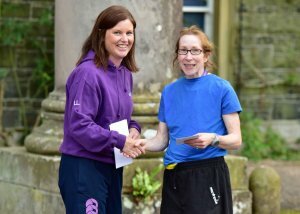 Louise Smith had an impressive run, winning the race outright with the fastest time in a field of 173. 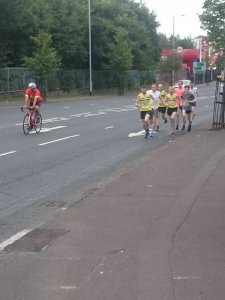 On Sunday 5th August this 10k road race started at the Cityside shopping centre and finished at Finaghy Road North. John Black won the race and Philip Goss took 3rd place on the podium. 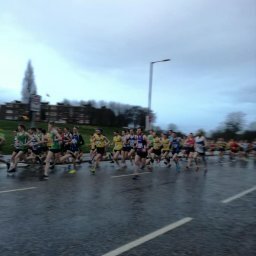 Congratulations also goes to Paddy McAuley who ran a PB. 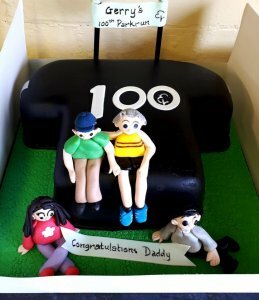 Gerry Anderson celebrated his 100th parkrun with a cake and a new PB. A new parkrun had its inaugural run in East Belfast at Orangefield park giving parkrunners another one to add to their tourism list.